Cross Training and Blisters…oh my! One of my very favorite ways to cross train has nothing to do with trail running. My second love is climbing and bouldering. I joined a bouldering league with some of my buddies and we’ve been having a blast. Last night, however, I managed to rip my hand open during a fall, resulting in a nasty, gaping blister. And today was supposed to be a running and strength training day. I decided to grab my new Skin-On-Skin blister dressing pack out of my trail running bag and give it a whirl. It’s made by 2Toms–the ones who make the best anti-chafing sport shield on the planet. I’m lucky enough to be an ambassador for them this year and they kindly sent me this kit to try out. I was a little nervous because I don’t always get blisters on my feet from trail running… but lo and behold I was given a chance to try it out! The dressing kit comes with this really cool blue sheet of water-based gel material that you can cut to fit the size of your blister/chafing area. It cools immediately upon contact and provides a nice cushioning buffer. Then you can cut the adhesive tape to fit just right and hold it in place. Since this kit is so customizable, I was able to fit my blister really well and get it prepped for some strength training today. Here a run, there a run…..everywhere a run, run! Training runs. Sometimes they’re solo trail miles where you push yourself for speed on a Saturday morning while your family eats pancakes without you. Some are dreaded treadmill miles after the kids go to bed. Some miles are pounded away around the neighborhood while everyone else is still sleeping. Some trail miles are more therapy than training. Some miles come at night, on the trail with sweet friends. Then there are those hill repeats and bleacher runs that are tortuous but necessary. But my favorite of all — those runs in beautiful places with beautiful souls. How lucky I am. What are your favorite type of runs? I am in no way an ultrarunning expert. I have successfully completed 5 “official” ultras in the last couple of years, DNF’d my first attempt back in April of 2016 and I’m preparing right now for my first 50 miler. 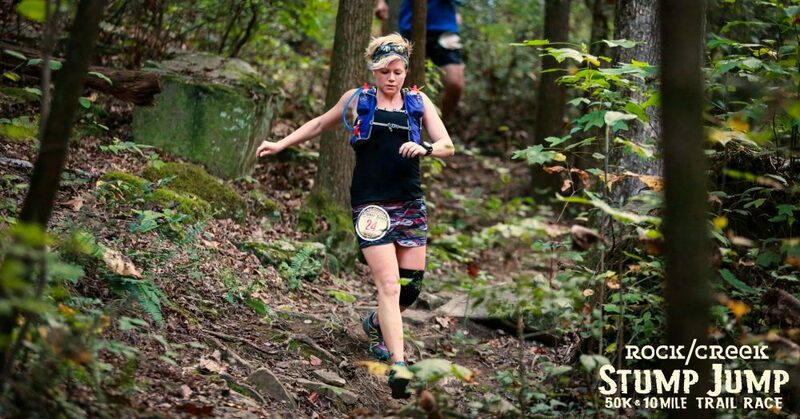 I’m a close-to-40, special needs mama to 3, total back-of-the-pack runner and I run ultras for the pure love of the trail. I didn’t even start running until I was in my 30’s. I love climbing mountains and pushing my body to its limits and care nothing about placing or stats. I get it done with a smile on my face because this is what I love to do–what makes me happy to be alive. It wouldn’t matter to me if I was first place or last… As long as I’m on those trails and climbing mountains. I’ve had a lot of people who are in similar life circumstances as me, wanting to know how I make it happen. So in this post I’m going to give you my tips and top secrets–which are really just the things I’ve learned the hard way over the past 2 years! 1. Find a training plan, use it…but adapt it to your REAL life. A simple google search will reveal tons of training plans. I actually look over several plans and then create my own. I came up with a plan that is realistic for me and works along with my crazy life. As a mom to three special-needs kiddos, my weekday runs are mostly treadmill or around my neighborhood. Sometimes I can squeeze in one night trail run with my running group. The weekends are for my long trail runs and I take full advantage. 2. Add in yoga and strength training when you can. Being injury-free is obviously a vital part of any training plan. I hope to be a lifelong runner. Staying healthy and injury free is one of my biggest goals. I incorporate strength training and yoga at home when I’m not running. 3. Whenever possible, train on the terrain you will be running for the race. When I have a very difficult ultra coming up, I like to actually do training runs on the course (or on something as similar as I can find.) There’s nothing like knowing exactly what has to be done on race day–especially when it comes to elevation gain and technical trails. Training runs on the actual course will go a long way in preparing you to complete the race successfully, especially if you are back of the pack like me. Learn to listen to your body. Pushing is good when training for an ultra… but pushing beyond your limits is not. When I’m training, I like to make sure I get plenty of rest at night and take an unscheduled rest day if I need it. No guilt in missing a day of training here and there. 6. Just know that you’ll have to enter the “pain cave” at some point during your ultra. You’ve trained, you’ve prepared and now it’s race day. But eventually you will probably hit a wall and enter what I like to call the “pain cave.” Everything hurts and you question your sanity. Why in the world am I running? Why did I do this to myself? I’m never running again! You will feel like you cannot go on and that you are physically depleted. This is when the race becomes all mental. One foot in front of the other and you push yourself towards the end. I have found that as my training progresses and my experience grows, the pain cave fades away. But I sometimes still throw a pity party for myself out on the trail. You’ve got to gain the mental toughness to push yourself forward even when your body is revolting. Long, tough training runs with friends are a good way to prepare for this! 7. Good gear can make all the difference. Nothing can ruin a long run quicker than chafing, dehydration or blisters. These are some of my favorite tools for dealing with these long run spoilers! One reason I chose to be an ambassador for 2Toms is because it works, every time!! Their products are the only thing that prevent chafing for me, especially under my sports bra. Every ultra, every time. psst…use code ALB20 for 20% off your 2Toms purchase of sports shield or blister kits!! So there’s my list of tips for preparing for a 50K. What else do you wanna know? !